This Memorial Day, we honor the men and women who have given their lives for their country, on what is actually the 150th anniversary of the holiday. But in the midst of the grills, cookouts, and general festivities, it's important for all of us to remember that the battle is not over for those who return home. Many of them have to fight on a whole new front and process the trauma they have experienced. I was reminded of this myself when I was in Chicago. Like many in the area, I decided to spend part of my Memorial Day weekend out on the lake front, and I happened to run into an event by Chicago Veterans. 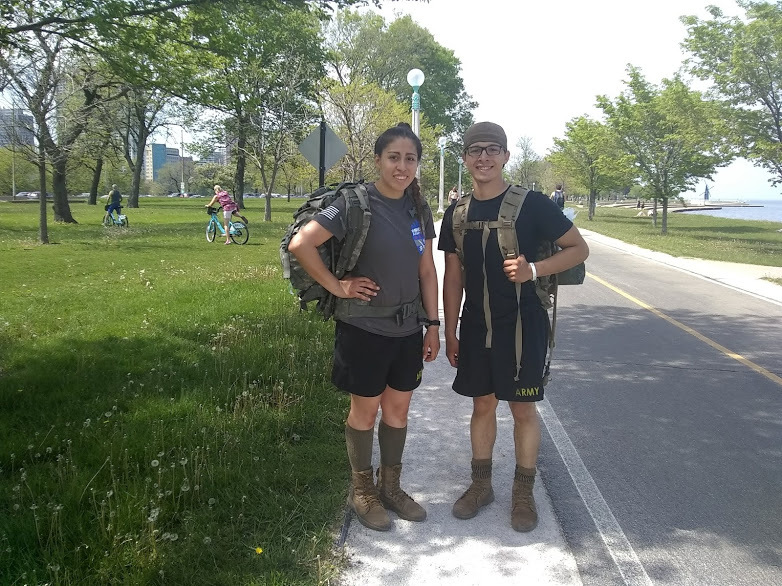 Vets and volunteers were walking to raise awareness about a pressing social problem: veteran suicide. According to the group, every day 20 veterans take their own lives. I was struck not only by the numbers, but by the fact that most people seem to have no idea that this is happening. In order to help raise awareness, the Film Girl Film Festival is partnering with a local chapter of Dryhootch, an organization which provides support to struggling veterans. Dryhootch was founded in 2008 by Vietnam veteran Bob Curry, and aims to provide a safe space in a coffee house where veterans and their families can gather in a drug and alcohol free environment. Dryhootch regularly hosts events, and provides mentoring and needed support services to ease the transition to civilian life. To do its part in support of this much-needed work, the Film Girl Film Festival will have its first women-only coworking event at the Dryhootch location at 1030 E. Brady Street. The coworking event aims to bring a group of women together to work, keep each other on track, and talk about their projects. No time and date has been set at this point, but further details will be provided. More information about the Wisconsin chapter of Dryhootch can be found at dryhootchwi.org.